For the first time home buyer, do interest rates affect the decision to buy? Chicago, IL, August 1, 2016	(Newswire.com) - Interest rates remain at historic lows, and are currently trending at the lowest levels seen in the past three years. During the first six months of 2016, mortgage interest rates have averaged 3.67 percent on a 30-year fixed-rate loan. Yet the number of first-time home buyers in Chicago, and the nation as a whole, have dwindled. According to the National Association of Realtors®, first-time home buyers accounted for 32% of all home buyers during 2015, the lowest since 1987. Historically, first-time buyers represent about 40 percent of the market. The decline comes even as job prospects and incomes have strengthened in recent years. Ryan Gable, founder and CEO of StartingPoint Realty, has a simple explanation for the disparity between low mortgage rates and fewer first-time home buyers. 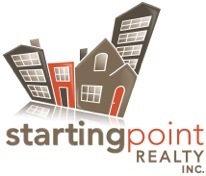 StartingPoint Realty takes a unique position within the real estate agency model. Since 2004, we've focused primarily on nurturing, educating, and guiding potential first time home buyer clients. Illinois Housing Development Authority Offers $7,500 in Down Payment Assistance. StartingPoint Realty, the real estate brokerage in Chicago dedicated to first time home buyers, states that this first time home buyer program is the best down payment assistance package available for qualified potential home buyers.